Craig N. Orr is a shareholder with Burson Entrekin Orr Mitchell & Lacey, PA Craig focuses his practice in the areas of personal injury, premises liability defense, insurance defense, creditor rights, commercial collection, construction law, and general practice. Craig was admitted to practice in the State of Mississippi in 1994 and Arkansas & Georgia in 2016. He is also admitted to practice before the U.S. District Court for the Northern and Southern Districts of Mississippi and the U.S. Court of Appeals for the Fifth Circuit. Craig has received an “AV” peer review rating from Martindale-Hubbell, the national directory of attorneys. This is the highest possible rating, indicating preeminent legal ability and the utmost ethical standards. Craig received his Bachelor of Business Administration degree from the University of Mississippi in 1991. He obtained his Juris Doctorate from the University of Mississippi School of Law in 1994. 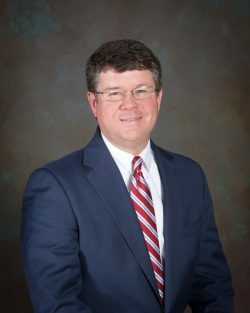 He is currently a member of the Mississippi Bar, Jones County Bar Association, Mississippi Defense Lawyers Association, and The National Creditors Bar Association (NARCA). Craig and his wife Natalie have three children, Eli, Mariana, and Chloe. They are members of Indian Springs Baptist Church.